Hi, hi friends! I’m writing this post from my hotel room in Toronto. We’re having a blast (although I miss my Kieran Bug like caaaaah-raaaazy). I hope you all enjoy the long holiday weekend! Summer is here, friends. Let’s make it a good one, shall we? On that note, my most recent obsession is my flourishing peony plant in our backyard. If you follow along on Snapchat (UN: mooberto), then you already know this (and may be annoyed by it…sorry!). I’m obnoxiously freaking out over these blooms. 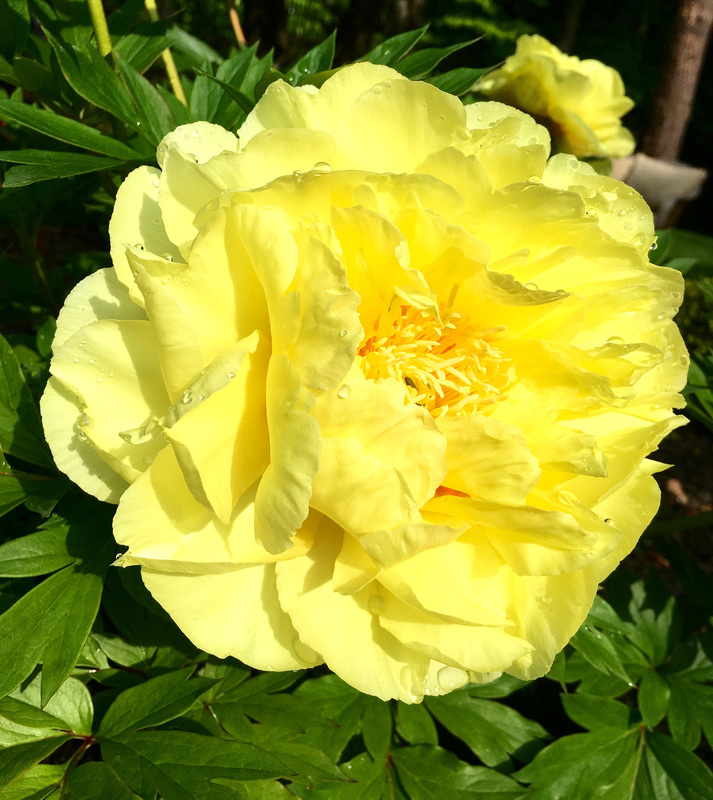 They’re a different breed of peony than your traditional ones. They’re HUGE. Like, one blossom is bigger than my whole hand. And I love them. Let’s hope I don’t kill the bush. Or any of the other new things I planted this year. Eeek. Here are some other things I’m obsessing over this week. Good, good stuff, guys. This Sweet Corn and Slow Roasted Tomato Galette looks so mouthwatering. Definitely happening soon! These Mini Cheeseburger Pizzas combine two of my most fav foods…so obviously I’m a fan. This General Tso’s Cauliflower looks so incredible that I forgot it wasn’t meat. Cauliflower transformed! This Spicy Lemon Shrimp Linguine is so gorgeous and sounds like a pasta dream come true! This Raspberry Roll Cake is one of the prettiest things I have ever seen (and can we just talk about PHOTOGRAPHY GOALS!? Laura kills it. Every time). I juuuust missed these stunning Rhubarb, Fennel, & Vermouth Cocktails on my last Friday Faves, so I’m including them in this week’s roundup. How beautiful are they?! These Ginger Lemon Bars have me swooning. Such a genius take on a lemon bar. This Chicken Meatball Bahn Mi Skillet Pizza has my name aaaalll over it. OMG! This Fleur Collins Cocktail was basically made for me. I love everything about it. This Korean Style Popcorn Chicken has got me drooling big time. Loooove. This Layered Buffalo Chicken Dip is everything. Buffalo chicken for life! And in case you missed it, I shared these incredible chicken gyros and these fun/different pots de creme earlier this week. All things you should add to your must-make list ASAP!